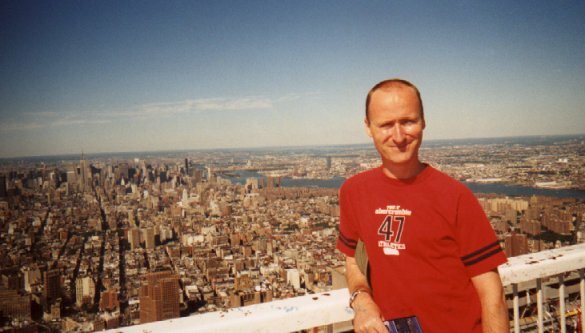 On 27th July 2001 David and I went up the World Trade Center. One month before the attacks. 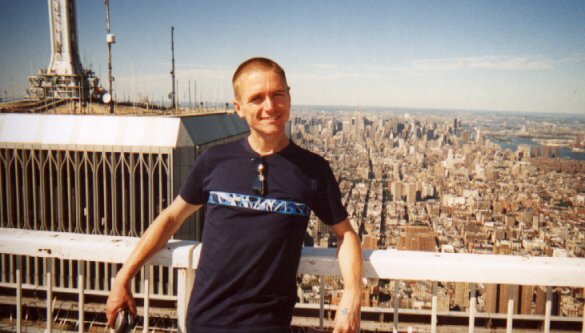 This is what I wrote that day; "Today we did an open top bus tour of downtown Manhattan followed by a trip up the World Trade Center. What a tip-top experience that is - go if you get the chance. The view is amazing and the amusements at the top kept us giggling for over two hours. After all that excitement we opted for a leisurely walk across the Brooklyn Bridge." RIP all that lost their lives.